1. What does the service fee for each lesson include? The service fee covers a 2 hour time frame for each overall service appointment, including: travel time to and from your home (up to 30 minutes each way), travel expenses, equipment that the instructor brings, and a review of the lesson with practice instructions. 2. How long is a private swim lesson? The private swim lesson, with 1 student participating, is 30 minutes long. 3. How long is a semi-private lesson? The semi-private lesson with 2 students participating, is 30 minutes long. 4. How long is a group lesson? The group lesson, with 3 – 4 students participating, is 30 minutes long. 5. How long is a Mommy & Me Lesson? The Mommy & Me lesson, with 3 – 4 students participating, is 30 minutes long. 6. What makes your service different from other local facilities? Finally Swim compared to mainstream facilities is like choosing a high quality restaurant over a fast food chain establishment. Finally Swim offers a highly personalized service that takes place in an environment that you control (ie, healthier swimming water, etc. ), with an instructor that is trained to offer the highest quality service, delivering results and a level of comfort for your children that can not possibly compare to a facility that offers a “cookie cutter” program in a noisy crowded facility, using a pool that is highly chlorinated and potentially harmful to one’s health. 7. How many sessions should I sign up for? A minimum of nine lessons for one summer season is highly recommended and encouraged to achieve maximum potential and the highest level of results within each season. Coupled with a top notch swim instructor and personalized service at your home pool, year round lessons at mainstream establishments are not usually needed, thereby creating overall savings of time and money for you. 8. What if I want to sign up for more than 9 swim lessons? Swim lessons come in packages of 3, 6, and 9 sessions. Finally Swim can work with you to accommodate your needs upon special request. 9. How often do the swim lessons take place? During the summer season, swim lessons are usually offered at a one time per week pace. This gives the student time to practice the skills and build strength while doing so. That strength in turn will help to build technique at a faster pace overall, thus eliminating the need for year round lessons. However, if you have needs such as, summer camp preparation, swim team try-outs, or swim vacation preparation, we can work with you and give lessons 2- 3 times per week if needed. 10. Will my child lose his/her swim skills from the previous season if he/she has not been swimming throughout the year? More than likely, your child will not lose the skills that were developed over the course of the previous swim season. Usually within the first lesson, the technique comes back, and by the second lesson (after a 2 week period), the child has re-gained strength and stamina in the water. This building of stamina will progress providing the child is swimming and practicing the skills on a daily basis. The practicing is imperative for your child’s development of swim skills, thereby creating a higher level of safety and peace of mind for you. 10. What if I don’t have a home pool? If you do not have a pool in your backyard, Finally Swim instructors can go to a pool of someone who you know and trust such as: a neighbor, relative, or friend. All we ask is that the home pool is located within the service area. 11. How many seasons will my child need to take swimming lessons for? The number of seasons that your child will need swim lessons depends upon a number of factors including: the age of the child, the current skill level of the child, the motor skill development of the child, the level of courageousness, and previous swim instruction experience. Swimming is a highly individual sport. All children learn at a different pace. The goal of Finally Swim is to get results, no matter what challenges each child faces, or how much experience they have or don’t have. We can work with any age, and any circumstance for the most part. Also, no matter how skilled a swimmer is, we zero in on refining technique and building strength & confidence. 12. What is the best age to start a child with private swimming lessons? If possible, it is best to start a child taking private swimming lessons no later than the age of 3. Of course, if you can get your child into the water at the age of 6 months and up (for water adjustment), your child will have an easier time adapting to the water and embracing the joy of swimming from a very early age. However, if your child has not yet been exposed to a swimming pool, no matter what his or her age, we can offer a very pleasant introduction to swimming and help every child overcome fear of the water. 13. Do you teach adults how to swim? Yes, Finally Swim will work with adults in the pool and work carefully to ensure the safety of both the adult and the instructor. Many adults who never had the opportunity to take swimming lessons at an early age, will seek a service such as Finally Swim due to it’s level of personalization, safety, care, and consideration for emotional challenges such as fear of the water or the deep end of the pool. It is much easier to learn to swim in a private backyard pool with a nurturing and understanding instructor. Your safety comes first and your emotional needs are met through patience and a lesson structure that suits your needs, while supporting the building of confidence and encouraging the “letting go” of emotional blocks. 14. Are your swimming instructors and lifeguards certified? Yes, all swimming instructors and lifeguards are certified according to the required standards: American Red Cross Lifeguarding / First Aid / CPR / AED. The American Heart Association all provides a 2 year certification for CPR and AED. This is equally accepted as certification for the CPR and AED requirements that are necessary to be fully .certified as a lifeguard. 15. Are your swimming instructors experienced? Yes, all swimming instructors come to you with at least 3 years of instruction experience. 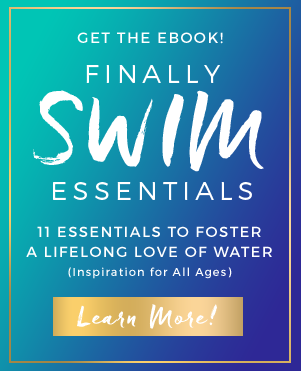 Instructors are also trained to teach using the Finally Swim Formula ™.